With the revelations, as a result of the murder of Michael Brown, a black teenager in Ferguson, Missouri, that the American Police have machine guns, planes and other military equipment, the thin veneer of democracy covering US capitalism is giving way to the ugly reality of corporate rule and Israeli patronage. 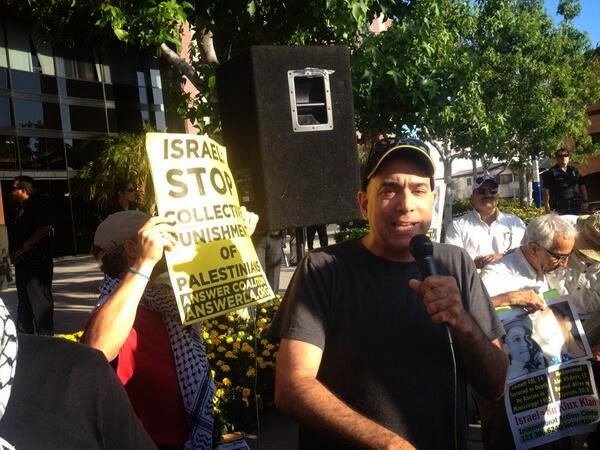 Ali Abunimah, editor of the Electronic Intifada, went to a Palestine rally in Los Angeles, his home town, and spoke to members of an Israeli counter-demonstration as to why they were there. 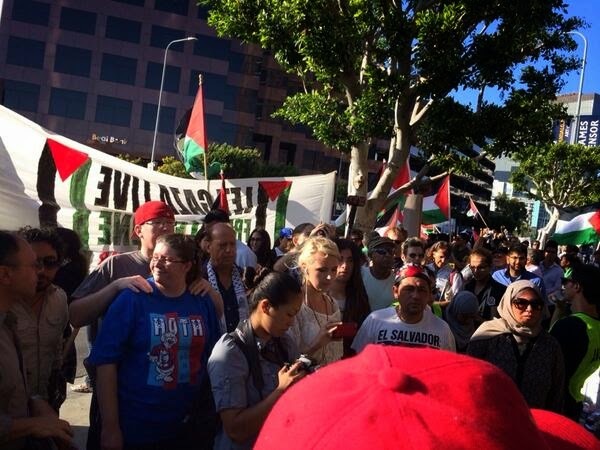 Ali was then arrested and assaulted by members of Los Angeles Police Department who have close working relationships with the Israeli state.